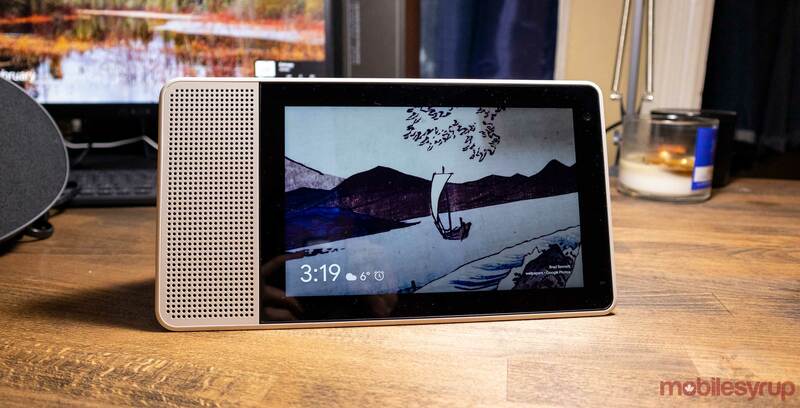 The eight-inch Lenovo smart display has hit the low price of $134.99 CAD at Walmart Canada. The Google Assistant capable smart display usually retails for $259.99, so this deal saves perspective buyers $125 before tax. For comparison, Walmart sells the regular Google Home for $129. The smart display works in the same way as a regular Google Assistant enabled device, but with the addition of a screen that provides more context to a question or command. For example, when you ask a smart display for the weather, it tells you the current temperature and provides an extended forecast on the screen for added context. Another neat trick provides you with visual information when it thinks you need it, similarAssistant on a phone. When I’m getting ready in the morning, my smart display shows me transit information. When I go to bed, it shows me my calendar for tomorrow. Users can also use the device to watch YouTube videos and make Google Duo video calls. The sale ends on March 31st.